CRAZY DISCOUNT! Was: $489.95 Now: $249.97! 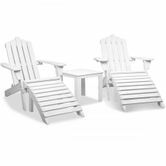 Made for the Hampton holiday feel all year round, these beautiful white timber chairs create a wonderful, relaxed summer ambience in your outdoor space. Or you can fold it, put it in the car and bring it to the beach side! Bring it to a whole new level of going to the beach. 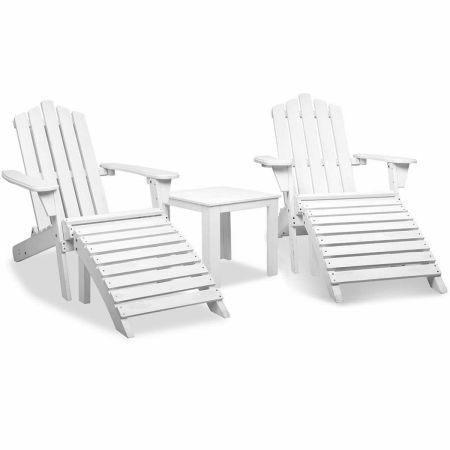 Designed with a flat and wide armrests, you can easily rest your drink or small plates - making them ideal for outdoor entertaining at all times. Comes with a matching side table, you don't have to worry the overflow of drinks anymore. Or just place your books when you want to chill under the sun.